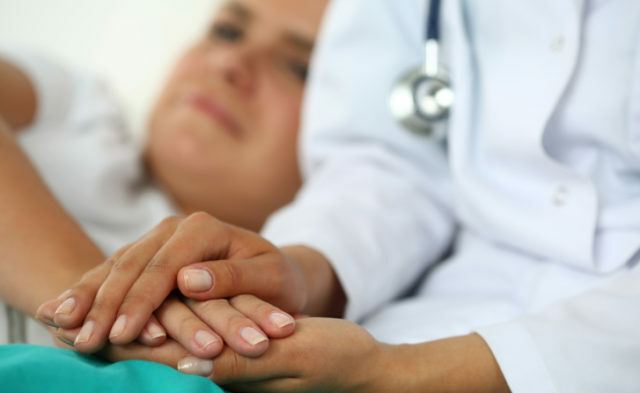 The phase 3 study found the combination effective, regardless of tumor proportion score. Results from a phase 3 study on pembrolizumab and chemotherapy (pemetrexed and a platinum-based drug) found the combination resulted in significantly longer overall survival (OS) and progression-free survival (PFS) compared with chemotherapy alone, reducing the risk of death by about 50% in patients with metastatic nonsquamous non-small cell lung cancer (NSCLC).1 These data, presented during the American Association for Cancer Research, confirmed an earlier phase 2 study’s findings. 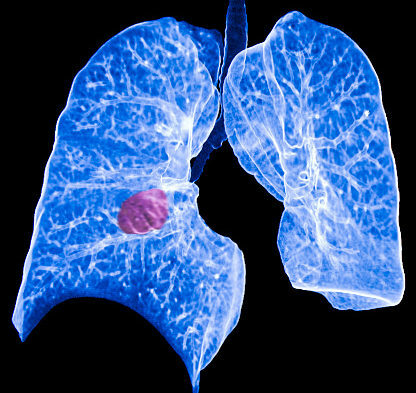 Lead author Leena Gandhi, MD, of New York University Perlmutter Cancer Center, NYU Langone Health in New Yok, said these data will “unequivocally” alter how clinicians treat this type of NSCLC. 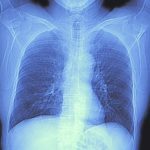 Before this study, first-line therapy for advanced NSCLC that lacks targetable mutations (such as EGFRor ALK) is platinum-based chemotherapy; for patients with a tumor proportion score for programmed death ligand 1 (PD-L1) of 50% or greater, pembrolizumab has replaced cytotoxic chemotherapy. Dr Gandhi, who was also an author of the phase 2 study, said the small numbers in that trial meant her daily practice patterns didn’t change as the numbers “were too small to make any definitive conclusions.” With 616 patients in the phase 3 study, however, the estimated rate of OS at 12 months was 69.2% in the pembrolizumab-chemotherapy group compared with 49.4% in the placebo-chemotherapy group. Median PFS was 8.8 months in the pembrolizumab-chemotherapy group and 4.9 months in the placebo-chemotherapy group. The median OS has not yet been reached in the pembrolizumab-chemotherapy group. Further, the rates of adverse events were almost identical between the two arms, and were similar in adverse events of grade 3 or higher. The KEYNOTE-189 study (ClinicalTrials.gov Identifier: NCT02578680)allowed for crossover to pembrolizumab monotherapy in patients who demonstrated disease progression. The benefit of the combination was shown “in patients with all levels of PD-L1 expression, even those with a PD-L1 tumor proportion score of less than 1%,” Dr Gandhi said, although the greatest response rate between group difference was found in patients with a tumor proportion score of 50% or greater (61.4% in the pembrolizumab combination group vs 22.9% in the placebo combination group).